In the picture is one of geometric chess piece that carved so carefully and need high creativity skill. 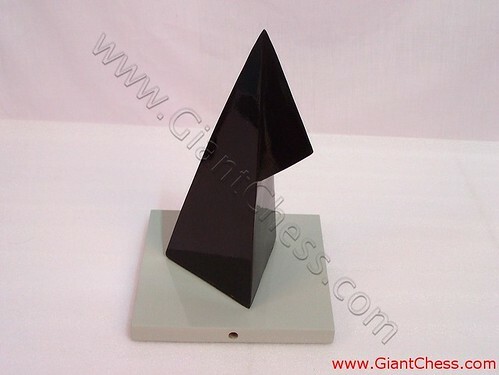 This kind of chess product is called also as custome chess in geometric form. Chess players are very creative in the use of their imaginations, and the customized chess pieces and sets that have been ordered from us, for play or collection, are unique and special. If you have an idea for such a product, please do not hesitate to tell us what it is, and we will create it in such a way as to do justice to your imagination. It means that you can create your own chess pieces based on your imagination and not always in geometric form. Try to put this kind of custom chess type for decorate your house. You can put it in your living room or your children bedroom as house decoration to get some unique touch for your house.